The Goatman of Maryland is a legendary half-human, half-goat creature that carries an ax. According to legend, Goatman is an axe-wielding, half-man, half-animal creature that was once a scientist who worked in the Beltsville Agricultural Research Center. The tale holds that he was experimenting on goats, the experiment went awry, and he began attacking cars with an axe, roaming the back roads of Beltsville, Maryland. A variation of the legend tells of Goatman as an old hermit who lives in the woods, seen walking alone at night along Fletchertown Road. 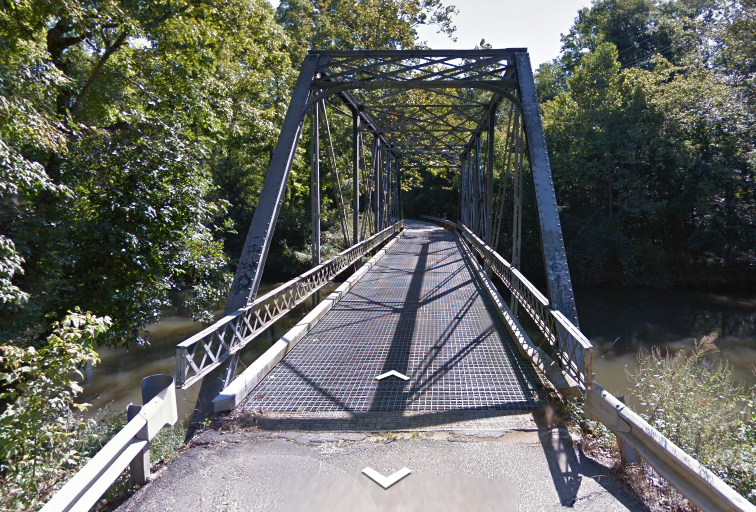 In Prince George's County, Maryland there is a bridge called "Crybaby bridge" and it is told that if you go there in the dead of night you will hear the sounds of a goat braying. 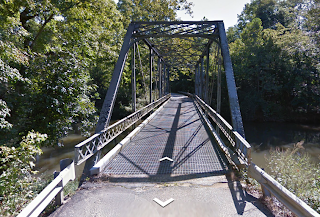 In my online research, I found more than one bridge that carried the name "Crybaby bridge" but I think the photo below is of the actual "Crybaby bridge" but I can't be 100 percent certain. Some people attempt to tie the Goatman to Greek Mythology and as being Pan. Pan in mythology was the god of the wild, a half human half goat type of creature, While others tie Goatman to the devil himself. Another interesting fact about Prince George's County is that it is home of the demon possessed boy in which the hit movie The Exorcist was based on. The Goatman is not only is said to stalk and terrify humans but reports claim Goatman snatches and kills small pets such as dogs and cats. Numerous carcasses have been found over the years and not knowing what really killed these animals, Goatman got the blame. The Goatman is an interesting legend for many reasons, from ties with the Devil, to stalking lovers in parked cars, to killing your family pets. 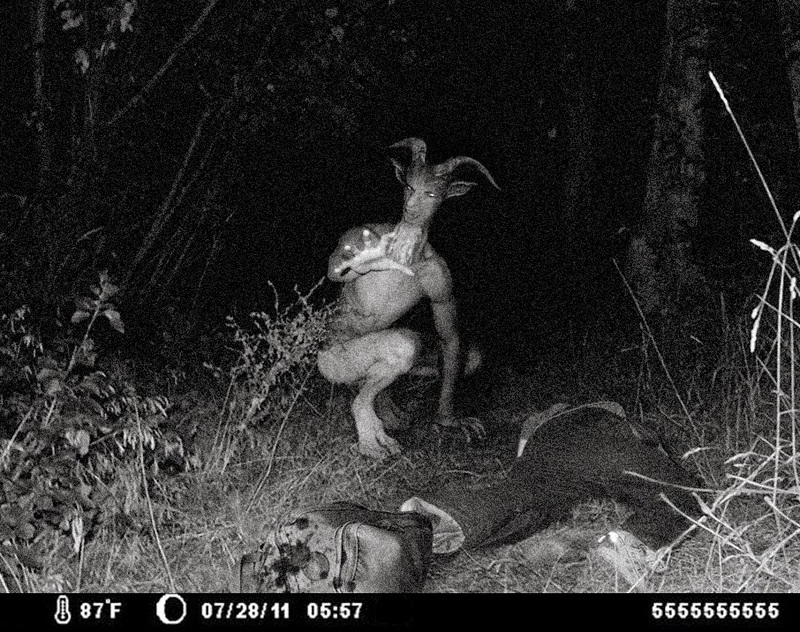 Goatman continues to strike fear in some people and it appears the legend is here to stay. It is also worth noting that having a insane asylum near by only adds to the terror mystic. So when driving or visiting Maryland keep your ears sharp for the sound of a braying goat and your eyes peeled for the glimmering of an ax, because you never know when the Goatman will strike next. Thanks for nice sharing !! Cool mock-up photo. It kind of looks like my neighbor Bruce. Sans horns (of course). We used to drive Fletchertiwn Rd and the bridge as teens. The goatman story was a good excuse for the boys to turn off the car and scare the girls. Growing up in Beltsville my whole life,as a teen we use to drive down those roads at night ,pretty spooky place at night time,and use to break in to the old abanded Glendale mental hospital,now that place still gives me nightmares. I grew up down the road a little ways from this bridge. That is a correct photo. Spent many a night partying near/under it. Never heard a goat braying, or a baby crying for that matter.